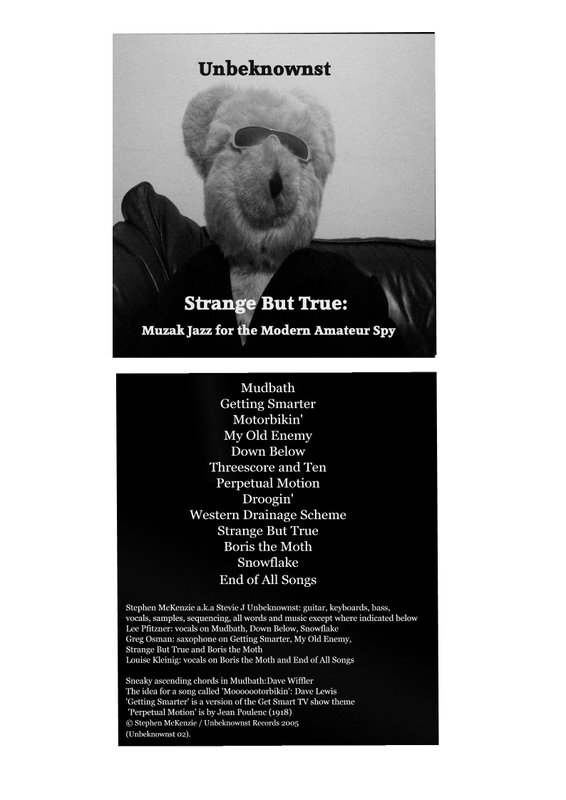 Strange But True is the name of a weird home studio album I made in 2005. It was the third album I did, after GrungeNerd and Isles and Sound. The theme was coping with suburban ordinariness by pretending to be a secret agent. There is a considerable amount of ennui in the lyrics, some faux, some real. The cover was a picture of my son Cody’s teddy bear, Miffy the Mean Man. You can download all the tacks here. The ones in bold, I recommend. The others, the versions aren’t great. The distorted vocals on End of All Songs is a shame. No way I can fix that, now.